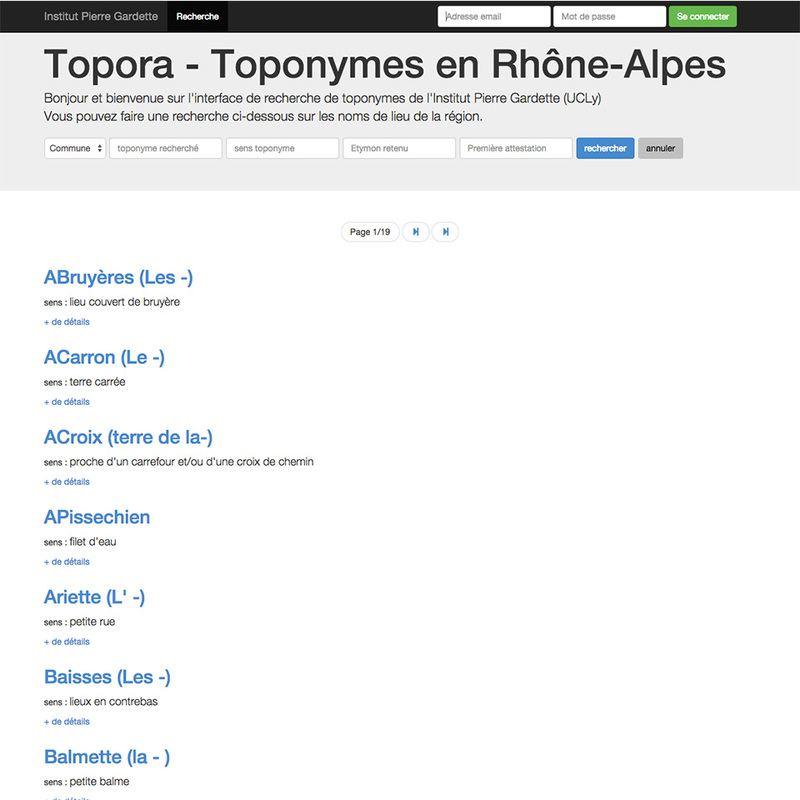 Description Consulting and creation of the online tool to gather geographic names in Rhone Alpe Area, France. The conception of this website is fully based on my administration panel and allows to gather and update geographic names informations. All those datas are then validated and sent on the website. My role was to build the specific and custom made administration panel to cover the needs of my client. I also built addons to import and export names in CSVs and DOCs documents to add contributors and to create the front end, including a search engine.